Uptown Houston is the center of the city's high-fashion shopping and dining scene. Many trendy shopping centers, eateries, and other sorts of entertainment venues exist in the Galleria area. Uptown is also home to many upscale boutiques, as well as local high-fashion designers and stores. There are a variety of condo high-rises and loft buildings available in the Uptown area, from the reasonably-priced Four Leaf Towers, to the trendy Empire Lofts, to the ultimate luxury residences at Montebello. 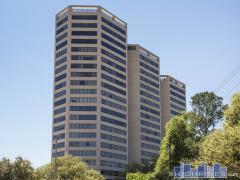 Browse luxury condos for sale in Galleria, Houston with the assistance our local condo specialists. Our in-town experts are intimately familiar with Houston and its neighborhoods, allowing you to be guided by a professional with first-hand knowledge and real estate experience. Allow us to help you find the Houston Galleria condos with the right amenities and location for you. If you would like to get started with finding condos for sale in the Houston Galleria area please contact us with the form below to schedule a showing of any condo you see on this site.